The Excavator: "Saudi Arabia is playing with fire in Lebanon"
"Saudi Arabia is playing with fire in Lebanon. As if it wants to push the country into civil war." - Angry Arab (February 23, 2016). Saudi Arabia and several regional allies have warned their citizens against traveling to Lebanon, as the Gulf’s Sunni Muslim monarchies step up pressure on Beirut to side with them more forcefully in their rivalry with Iran. 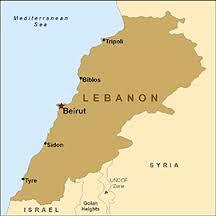 The political admonishments came just days after Saudi Arabia delivered a powerful fiscal blow to Lebanon. It declared that it would suspend $3 billion in weapons and military equipment for the Lebanese army and withdrew another $1 billion earmarked for the country’s internal security service. A Saudi commercial bank later shut down its operations in Lebanon. The reason for the withering attacks? Beirut failed to condemn attacks on Saudi diplomatic missions after the kingdom beheaded a prominent Shiite cleric at the beginning of this year. Nimr al-Nimr’s execution by Saudi Arabia triggered waves of sectarian-tinged rioting across the Middle East. After protestors torched Saudi Arabia’s embassy in mainly Shiite Iran, nations loyal to Saudi Arabia joined the Sunni monarchy in cutting off relations with their biggest regional rival. More violent protests, severed diplomatic ties and curtailed trade and travel between countries followed. Lebanon’s woes began when Foreign Minister Gebran Bassil refused to vote on a joint Arab statement condemning the embassy attacks, citing the fact that the statement also criticized Lebanese political group and militia Hezbollah, which holds significant sway at home.